Select a style Bee.....strong. Bee.....positive. 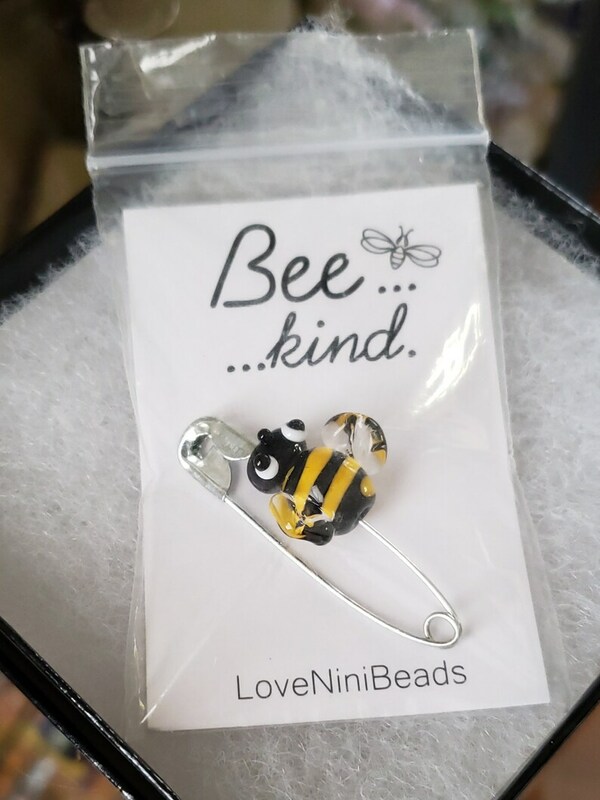 Bee.....kind. Bee.....happy. Bee.....lieve. Bee.....you. My new 'Bee Inspired" Series ! Picture #1 - How your Bee will be packaged. Picture #2 - Close up of your Bee on a Pin on a selected card. Picture #3 - Front and back of the Card. Picture #5 - Another close up of Bee on Pin.